Live & Love | Come Here To Me! 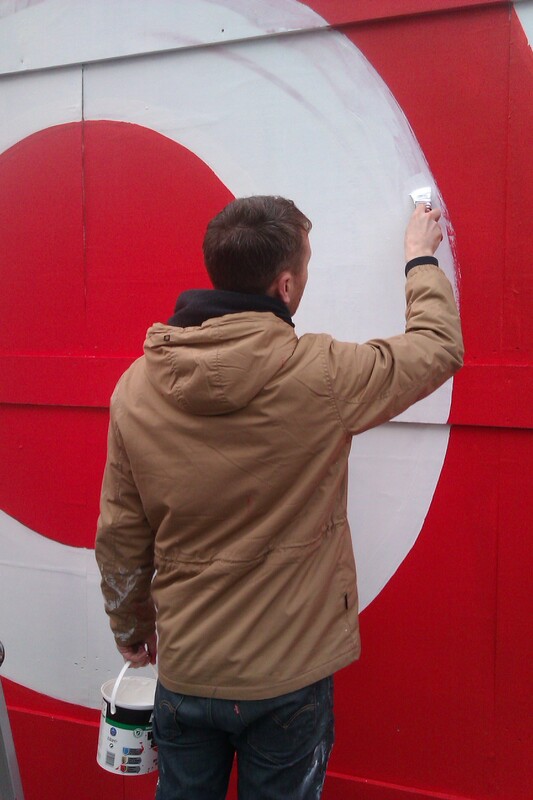 Luke Fallon (CHTM illustrator, responsible for our recent book cover) snapped these images of Maser at work today. 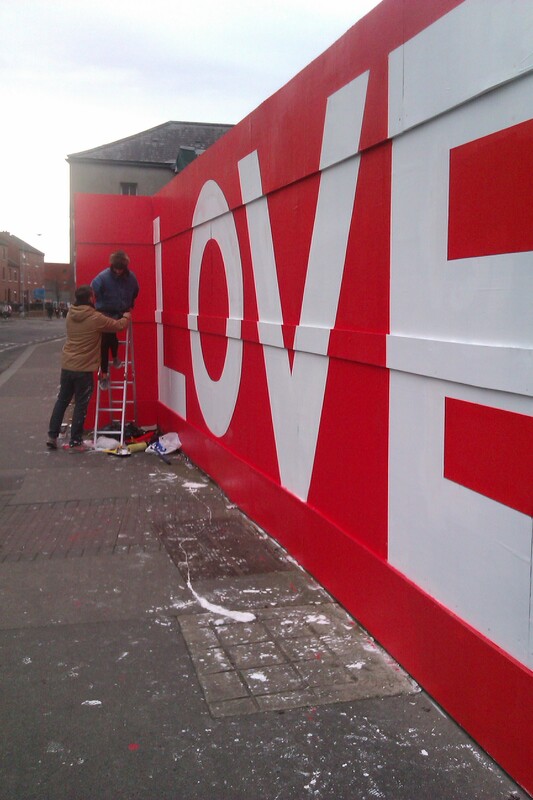 I’ve huge time for Maser, and in January 2012 we chatted with him about his work, style and inspirations. I find Maser understands the history and complexities of the city, and he often incorporates Dublin characters and stories into his work. 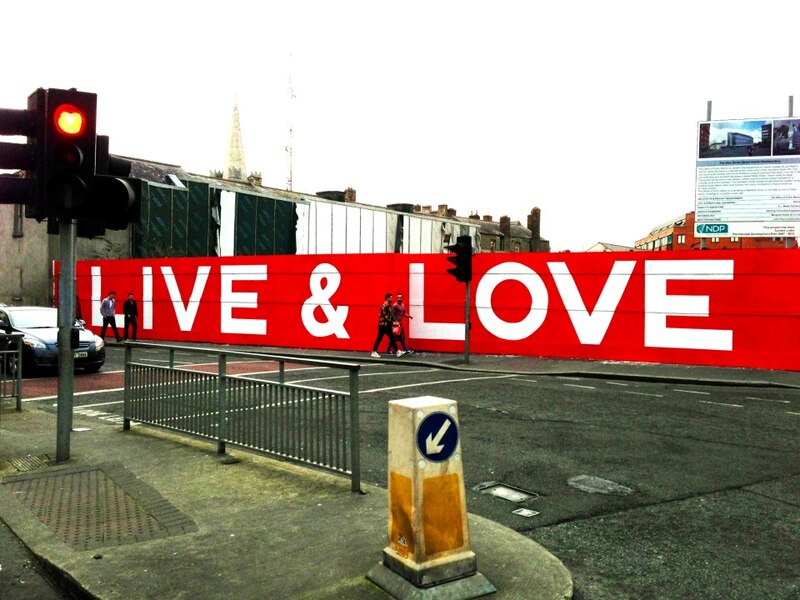 Maser has just painted a nice bit on Kevin Street encouraging Dubs to live and love, and it’s good advice we fully endorse. 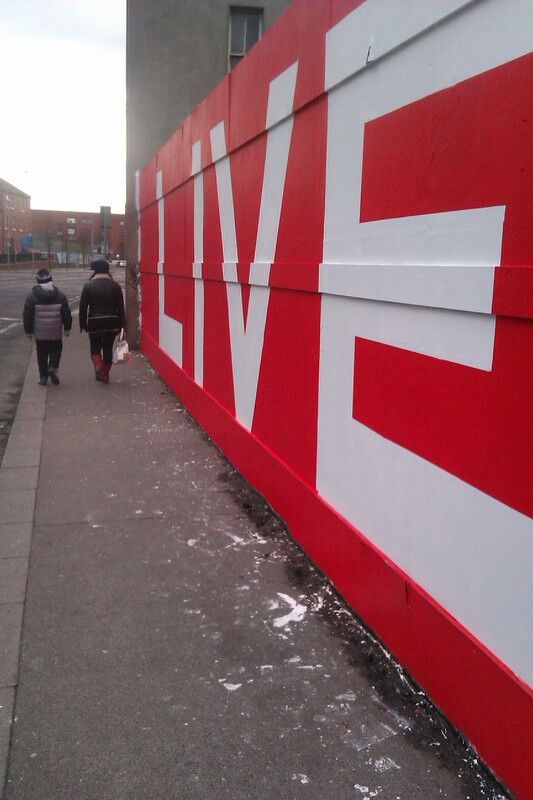 This work was part of the First Fortnight festival, which promotes mental health issues in the city. I heard a rumour he wanted to do something with the huge wall of the Boland’s Mill for the1916 commemoration. Maybe you can communicate my thoughts to him? First, I saw online, some competition for development of the facility, and the image I saw, broke up the back wall with stairs, so ruining the canvass. Second, I had the pleasure of being involved with the recent projection onto the wall from the Lir Theatre for the #merryaol campaign. My idea is to use such projection equipment and do the art in some form that could be projected onto the wall. He could create the art anywhere and use technology to deliver it to the projectors, or share his skills and show others how he does it and have that exercise transferred to the silo wall. 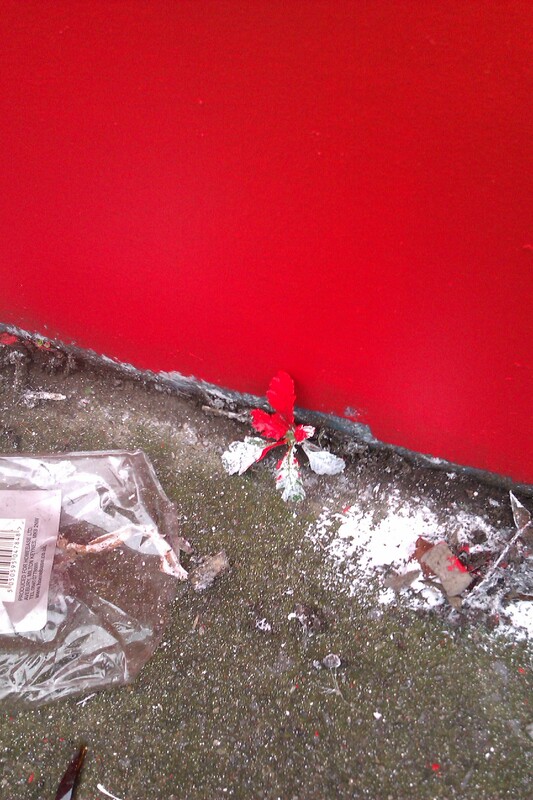 I am sure the creative people in the Lir could help?